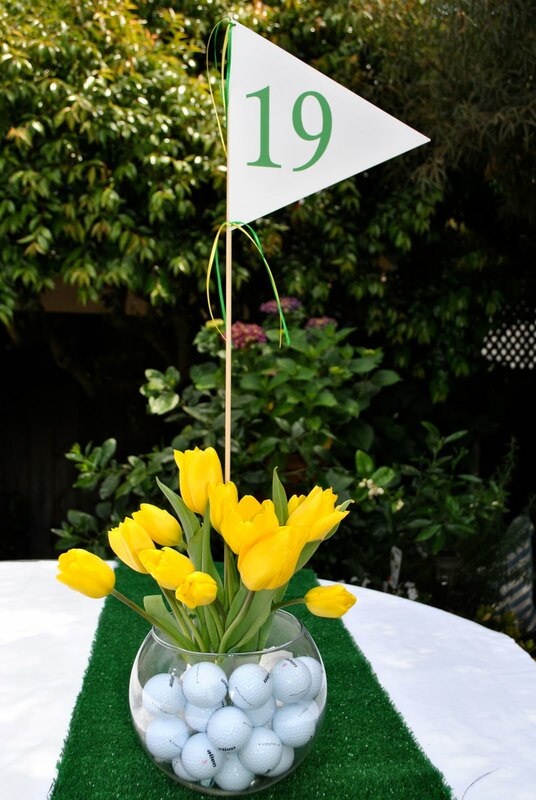 Centerpiece for a golf themed 40th Birthday. I bought the fish bowls at Michaels and used the smaller of the two sizes they have. The flag dowels were taped to the inside of that glass to make it stable, then flowers and water put in. It takes a lot of balls the fill the bowl, approx 30.
the dowel is easily just placed into the dirt. What a great idea! This could work for all ages. I came via a link from Skip to My Lou on your teacher flags and found this. I love this idea. I am having a golf themed birthday party for my son's fourth (Fore!) birthday. That centerpiece is so smart and beautiful. Thank you for the great inspiration. Hi, I am going to make these for an upcoming party. What do I use forthe flags? 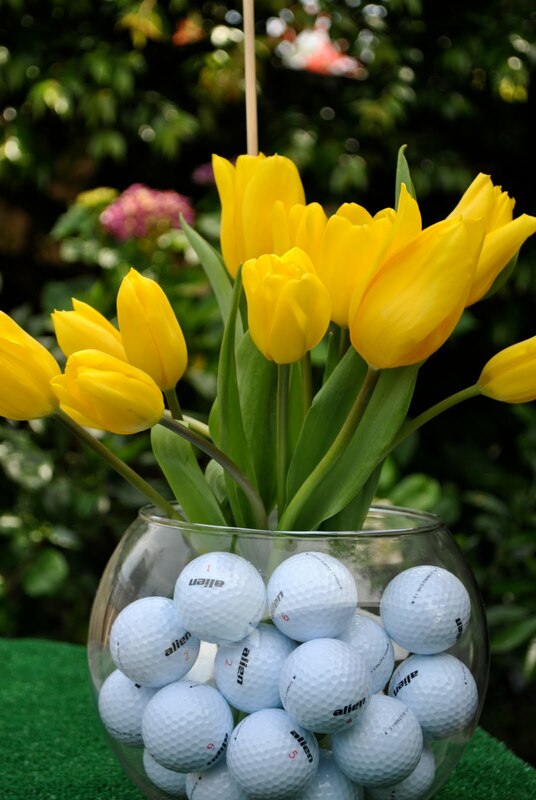 What size bubble bowl vase did you use and how many golf balls were used? I got the bowls at Michaels and it was the smaller of the two sizes they have...It took a lot of golf balls, approx 30. You can use regular golf balls or Target has more inexpensive plastic ones that are good to mix in with the real balls.